Here is How to close apps, running in the background, in Android 4.4 KitKat phones. App, running in the background, play an important role in the appropriate functioning of the Android 4.4 KitKat phone. 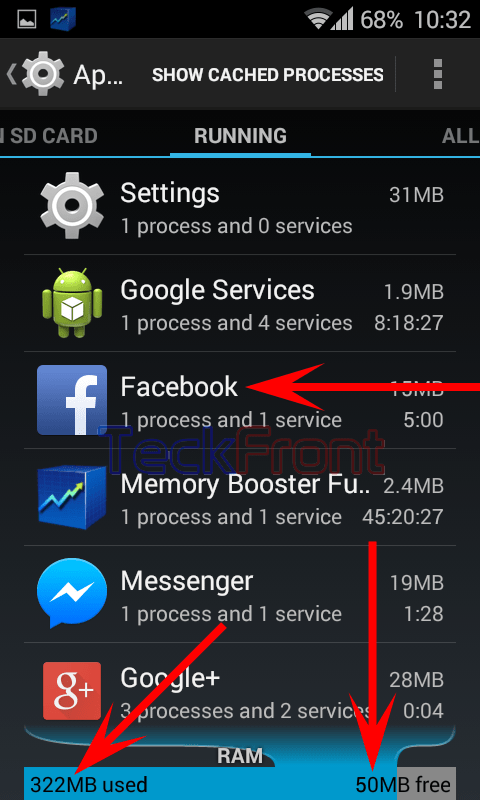 On the one hand, apps running in the background help to fasten the working of the Android phone while they, unnecessarily, delay the opening of the new app as they are using too much internal storage. In addition to it, apps running in the background, consume a lot of battery power – the life line of the smartphone. Anyhow, you may decide at your end to close or continue to operate the apps running in the background. When the currently running apps can be seen, easily, by touching any button set as the recent app launcher, set by you on the smartphone and you may close all the apps by pressing the button on the top right corner of the screen. But, it will just remove the apps from desktop but the apps will remain running in the background. 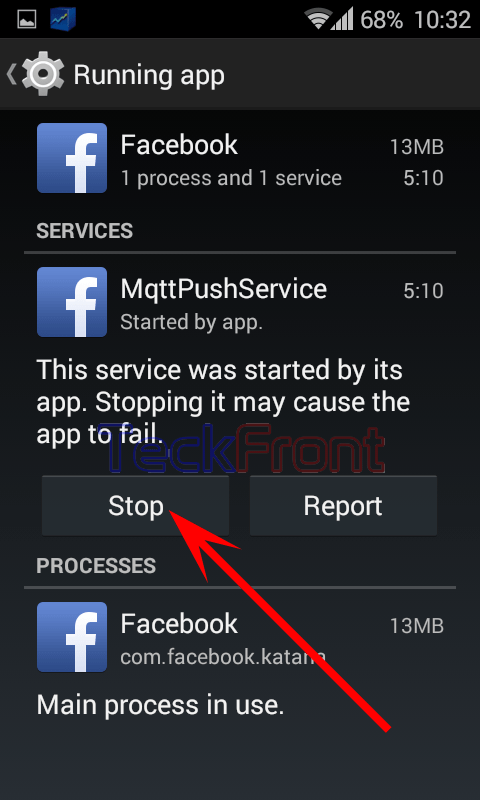 If you want to close the apps running in the background, follow the instructions. Command Line: Settings > Apps – DEVICE > Apps: RUNNING. 1: Follow the Command Line to open up the Apps. 2: See, a list of DOWNLOADED apps is displayed. 3: Swipe to the right to RUNNING apps. 4: See the Used Internal Storage, at present, is 322 MB while the Free Internal Storage is 50 MB. Choose any app which you think is unnecessary and is not in use at present. I selected Facebook. 5: Tap Facebook to open its interface. 6: Tap ‘Stop’ button. 7: Tapping the ‘Stop’ button will take you, instantly, back to the RUNNING Apps screen. See the ‘Facebook’ app will be closed and removed from RUNNING apps. 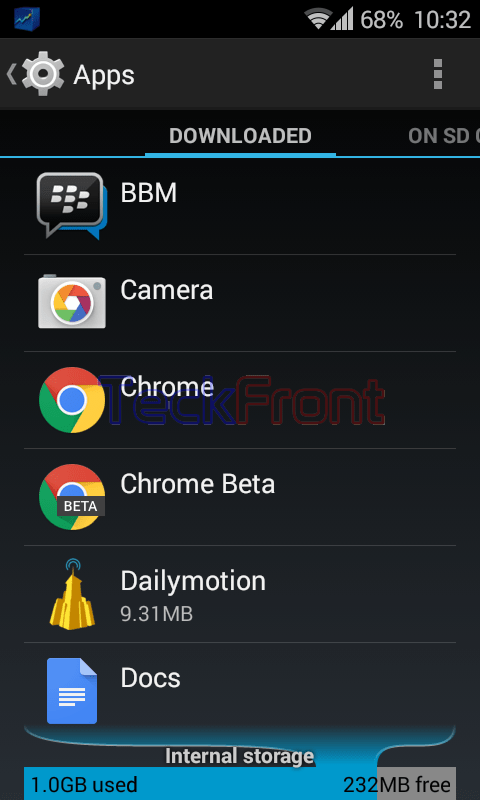 8: Also see the Used Internal Storage has been reduced to 308 MB while the Free Internal Storage is increased to 64 MB. Similarly, you may close many other unnecessary running apps which will increase the free internal storage and reduce the used internal storage as well. It will not only increase the performance and speed of OS but also decrease battery consumption. Newer How to Set Countdown Timer of Camera for Auto Snap in Android 4.4.4 KitKat Phone? 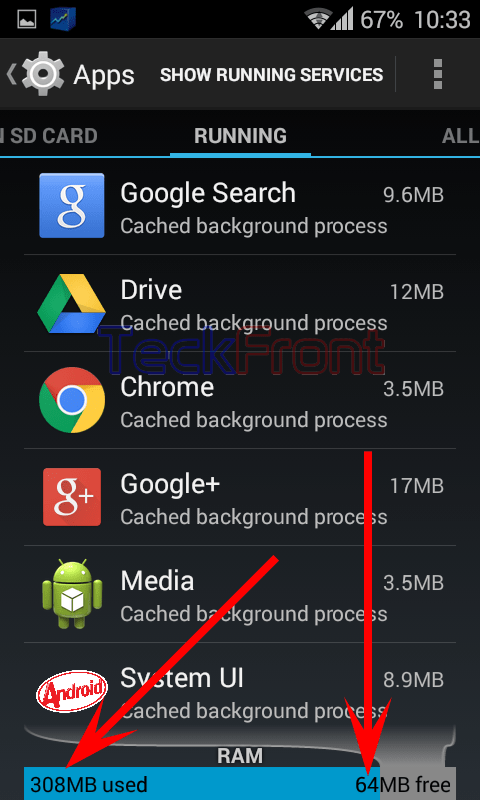 Older How to Avoid Poor Wi-Fi Connection in Android 4.4.4 KitKat Phone?